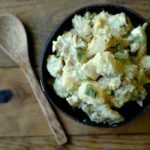 Learn how to use clean ingredients to make classic potato salad in a fraction of the time using your Instant Pot! The best. I’m so thankful for you all being so gracious with me while I took some time off to enjoy the summer sun. Thank you! 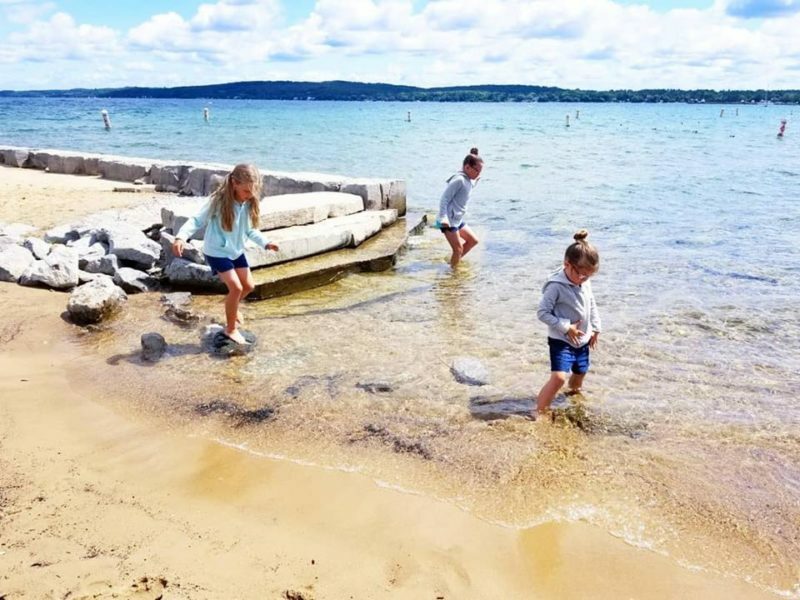 We just got back from the best time of Petoskey stone hunting, wave riding, river bank hiking, and family time. 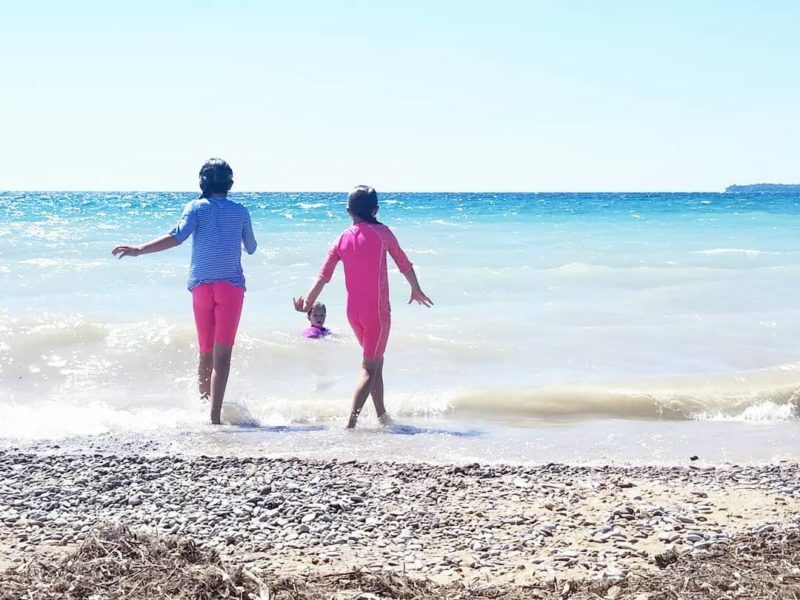 And as much fun as we had for a get-away, I’m ready to hop back into our “at home” summer routine. 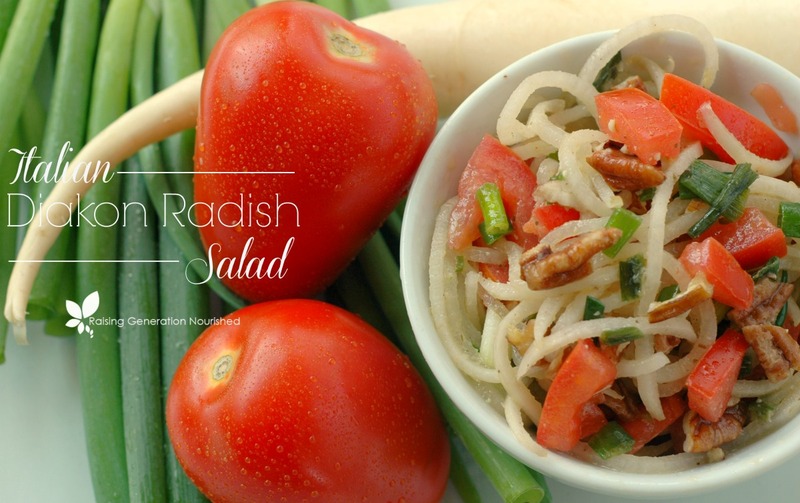 Part of that summer routine means having cold salads on hand for quick lunch or dinner side dishes. 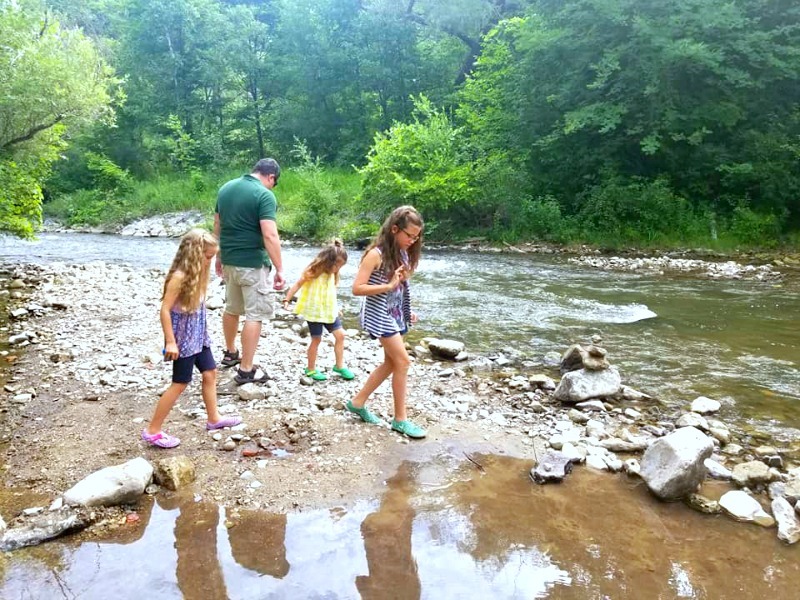 It gives us a chance to be outdoors as much as possible and still keep the food on our plates real food so we aren’t tempted to eat junk or go out to eat. 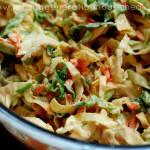 Coleslaw is one of my staple veggie side dishes for summer weekdays. I make it up on Sunday nights and use it for the first half of the week. 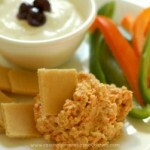 I also like making our favorite fresh herb filled Paleo Ranch for cold veggie platter dipping or big salad sides. And this summer, potato salad has made one of my summer side staples thanks to my Instant Pot! 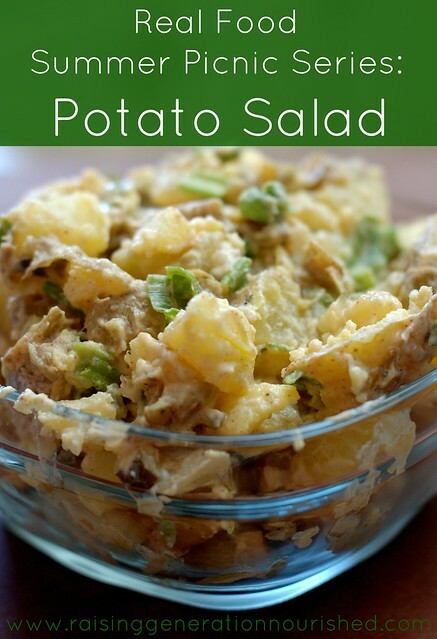 Potato salad for more than just that special picnic! 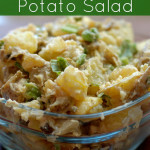 If you were to ask me last year if potato salad was one of my summer staple sides, I would have probably told you no. The time it takes to boil the potatoes was more than I am willing to do for anything more than a special picnic occasion. But my goodness has the Instant Pot changed that for me! In about 10 minutes of time including chopping, cooking, mixing, and clean up, I can have a week’s worth of potato salad ready to go for dinner sides to partner grilled hamburgers and barbeque chicken, or a lunch bowl topped with some crushed walnuts! No really! Just add a cup of water to the bottom of your IP, place a steamer basket down at the bottom, and pile on the cubed potatoes! (I don’t even peel the potatoes, although you may if you wish!) You can just toss the eggs right on the top of the potatoes, and once the Instant Pot comes to pressure, you’re 3 minutes away from perfectly cooked potatoes and hard boiled eggs. And you can totally tailor this to your taste. If you like more or less eggs, you can certainly adjust that! If you like a crisper potato in your potato salad, back the time off to 1 minute. (You may need to pressure cook your eggs separately to get them fully hard boiled if you back off on the potato cooking time). While I’m all about the Instant Pot magic, the dressing is really where it’s at. 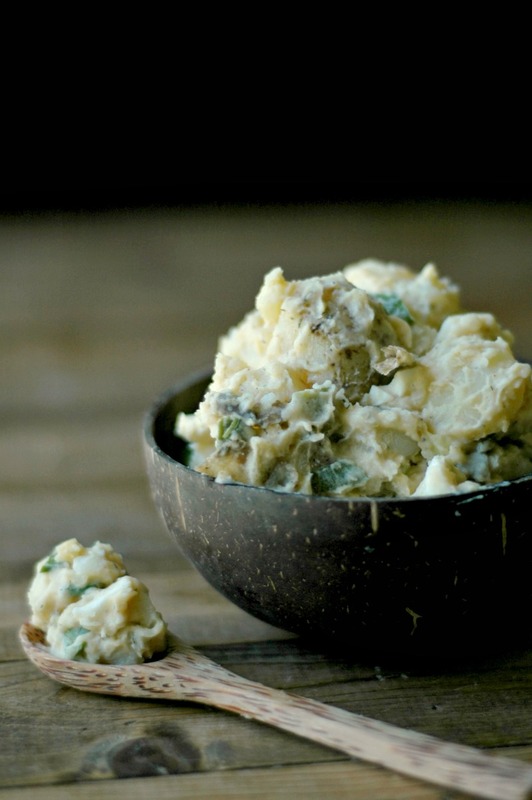 If your dressing is boring and bland, your potato salad isn’t going to taste great. While your potatoes and eggs are pressure cooking, whisk up this amazing dressing – your family will be licking their plates clean because of this part! The key is to add the dressing to the potatoes while they are still warm, so they soak up all the flavor. This also makes the prep part go super fast! You don’t need to wait for the potatoes to cool down at all! There are a lot of different options for the mayonnaise part. Browse through this list, and see what fits your family best! I love and use the Sir Kensington’s Avocado Oil Mayo. You can find it just about anywhere these days. Just be sure it is the avocado oil mayo – the “classic” mayo in this brand uses sunflower oil, and you want to avoid that. While I absolutely LOVE my Paleo Avocado Mayo recipe, it does turn the potato salad a different color, so I tend to use regular mayo for this salad. 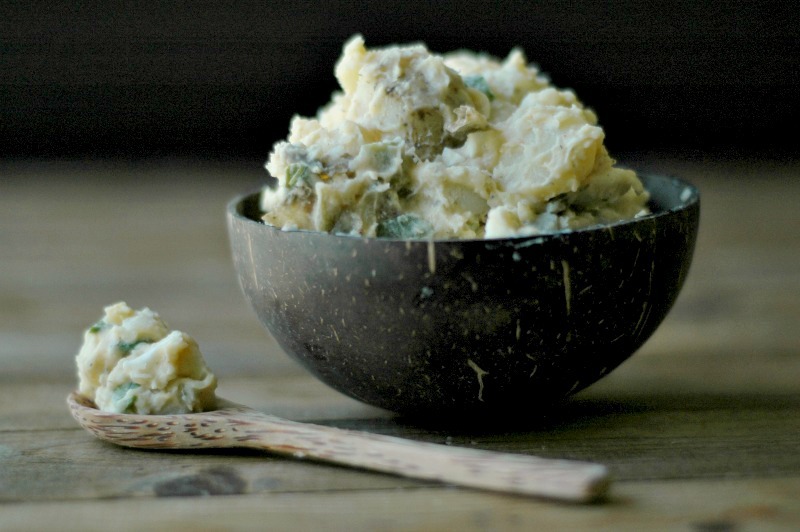 If that is the kind of mayo you tolerate, and you don’t mind the change in color, I have made it using that Paleo mayo recipe and it tastes SO good! If you can’t have the eggs in homemade mayo or store bought, you can try my egg free mayo recipe (this recipe does have dairy, but I think you could swap the sour cream for plain coconut milk yogurt if you do not tolerate dairy). 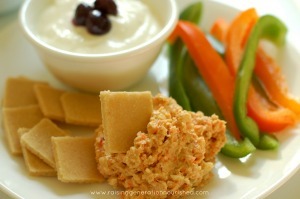 I also wanted to add that plain sour cream works well for a mayo sub if that is what you have and can tolerate dairy. 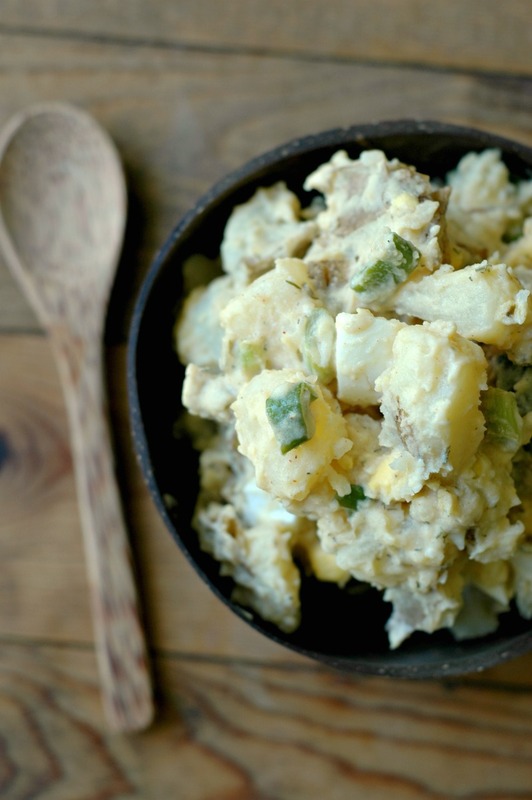 Your potato salad will feel a bit different if you use yellow or red potatoes. Russets are “drier” and have more room for absorbing the dressing which is why I like using them. Red/yellow potatoes will work, but I think you might want to adjust the time for cooking since they tend to cook faster and get softer. If you can’t have eggs, simply leave them out! I use duck eggs a lot since that is what we tolerate best. 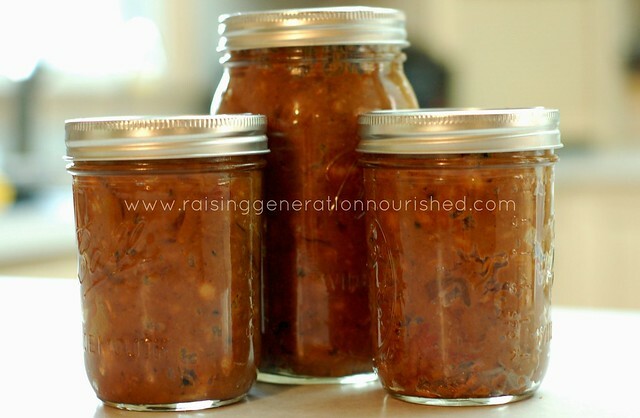 I have been picking up the Bubbies pickle relish this summer and *loving* it! If you can’t find that, you can just chop up regular pickles (we like the Bubbies fermented pickles) for the chopped pickle ingredient. Just watch your ingredients – bread and butter pickles have a ton of added sugar. 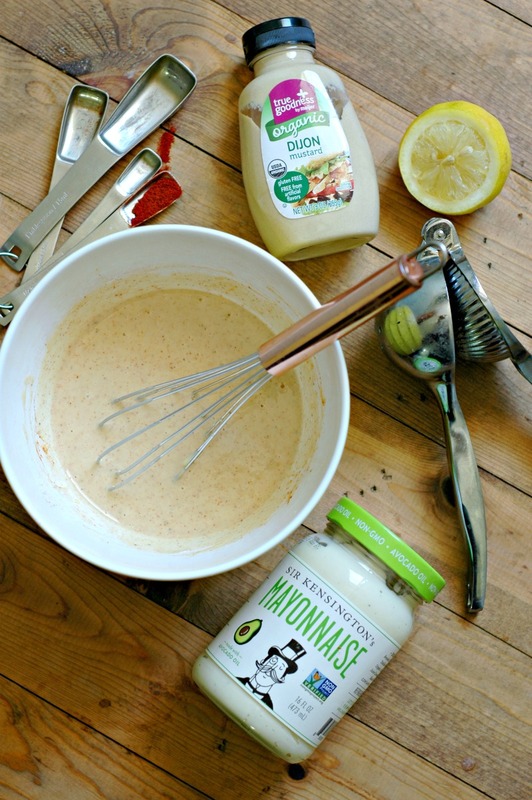 1 cup of your favorite mayonnaise I like Sir Kensington's Avocado Oil Mayonnaise . See above "Mayo Options" section for more choices. 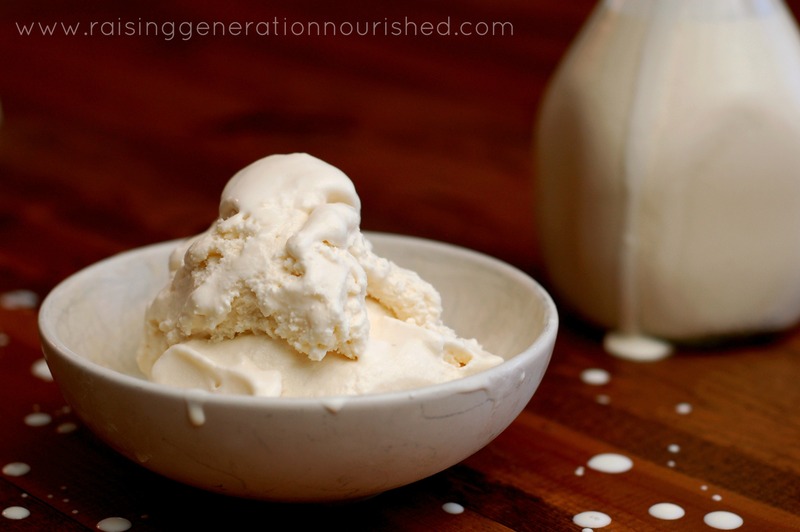 You can use homemade mayo, or your favorite mayo made with avocado oil or olive oil. If you tolerate dairy, full fat sour cream works fantastic too. We avoid mayos with soy and/or canola oils. Put the water in the bottom of your Instant Pot liner, and place a steamer basket inside. 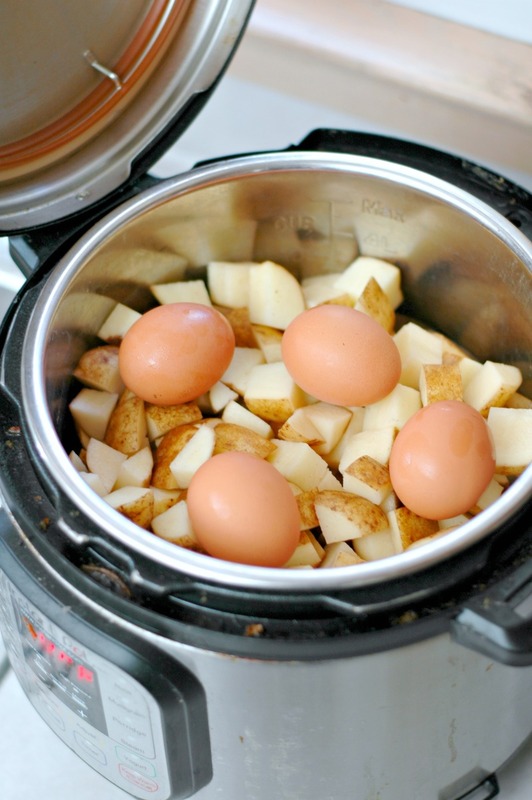 Put the cubed potatoes in a steamer basket, and lay the uncooked eggs (in their shell) on top of the potatoes. 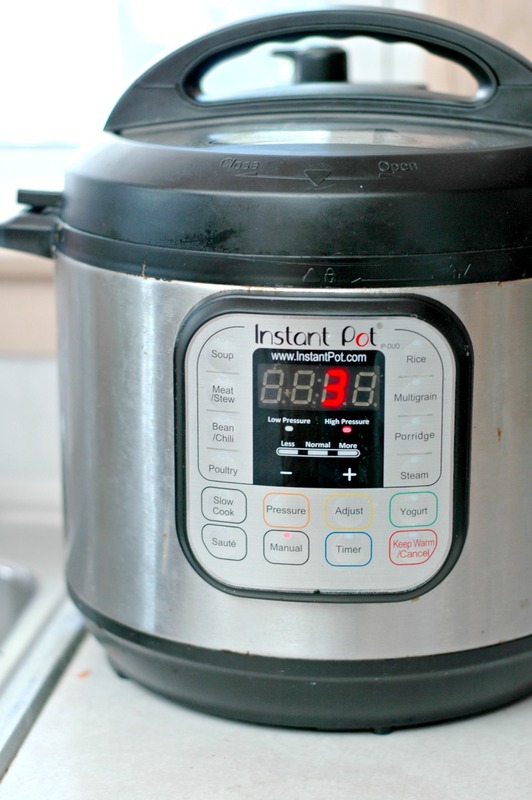 Put the lid on your Instant Pot, close the valve, make sure the pressure is set to “High,” and press “Manual.” Bring the time down to 3 minutes. The Instant Pot will take about 5 or so minutes to come to pressure before counting down the 3 minutes. While the potatoes and eggs are cooking, make the dressing. Whisk the mayonnaise, mustard, olive oil, honey, lemon juice, sea salt, paprika, pepper, and cayenne in a small mixing bowl, and chop your pickles and green onion. When the Instant Pot beeps that the 3 minutes of pressure cooking is done, turn the IP off, and turn the valve to release all the pressure. Take the lid off the Instant Pot, and use tongs to place the eggs in a bowl of cold water to cool off so you can peel them. While the eggs are cooling off, you can scoop the cooked potatoes into a mixing bowl. Pour the whisked dressing over the potatoes and stir to combine. 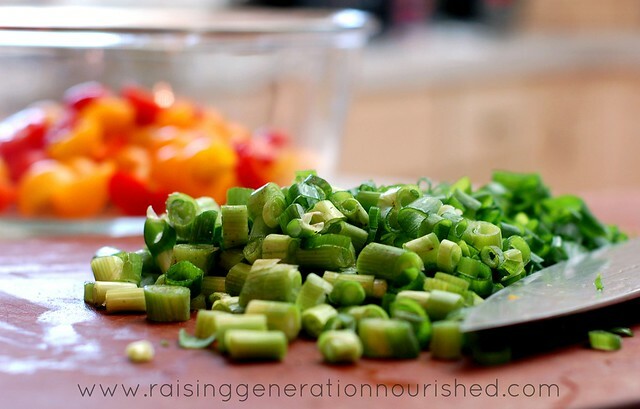 Peel and chop the hard boiled eggs, and then fold in the chopped eggs, dill, pickles, and green onion. Chill the potato salad and then taste for sea salt and pepper. Instant Pot Mini Egg Frittatas To-Go! 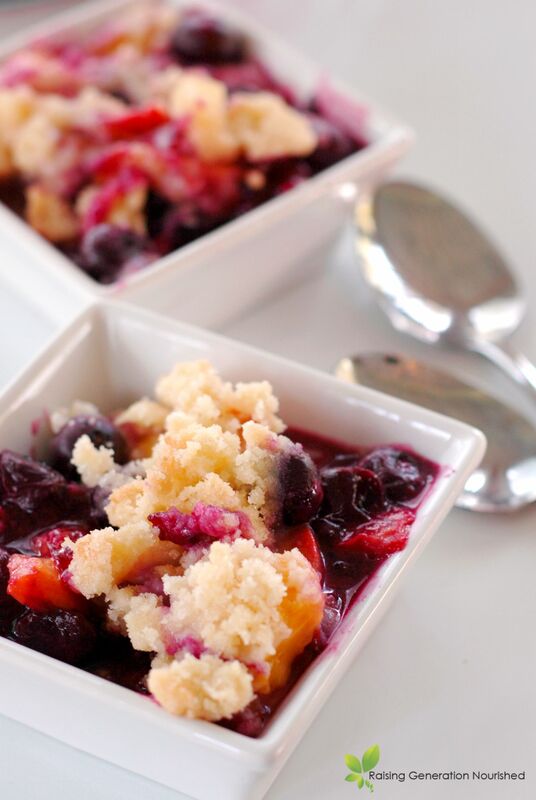 Fresh, juicy peaches meet sweet plump blueberries and buttery, crispy topping for an end of summer treat that is *quick* to make and full of summer flavor! 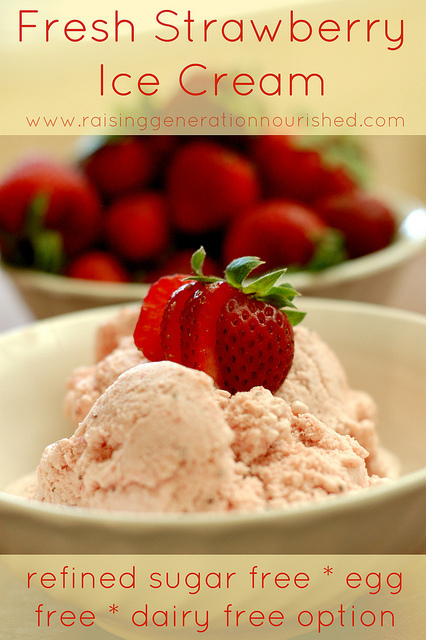 Before we switch gears to back to school recipes I just had to share one more quick summer treat that is a must have to celebrate the end of summer with the kids this month! Where I live, blueberries and peaches ripen for harvest within a week or two of each other. 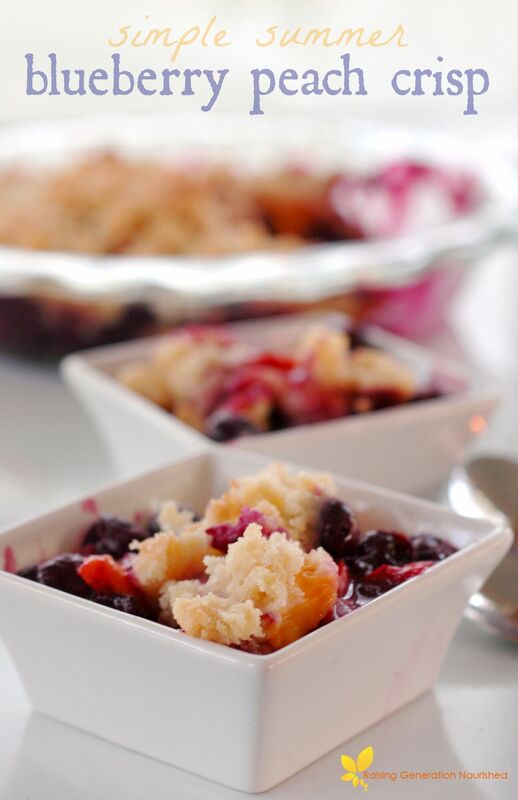 In fact this year, we picked blueberries on a Saturday and picked up our couple bushels of peaches that Monday! Talk about a load of fruit to work with! I love every minute. While I freeze a majority of all the fruit to use for yogurt, oatmeal, and smoothies during the rest of the year (big money saver! 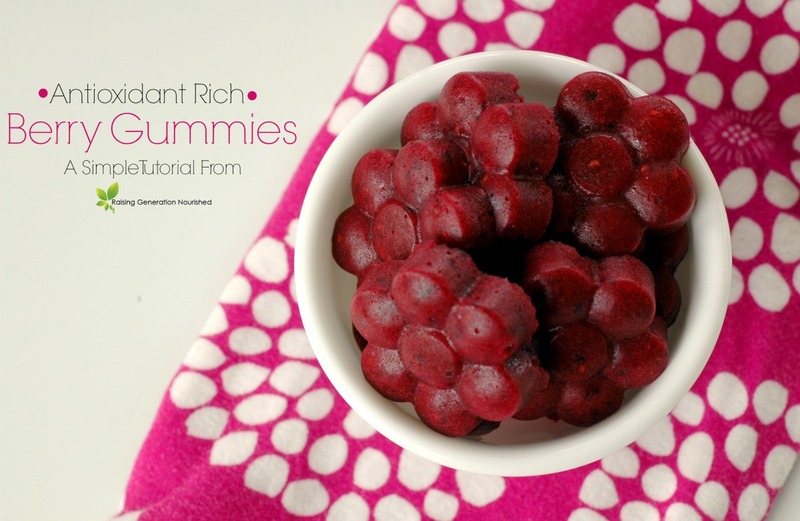 ), I do try to make a few special recipes using these fun summer fruits that we won’t see again until next year! 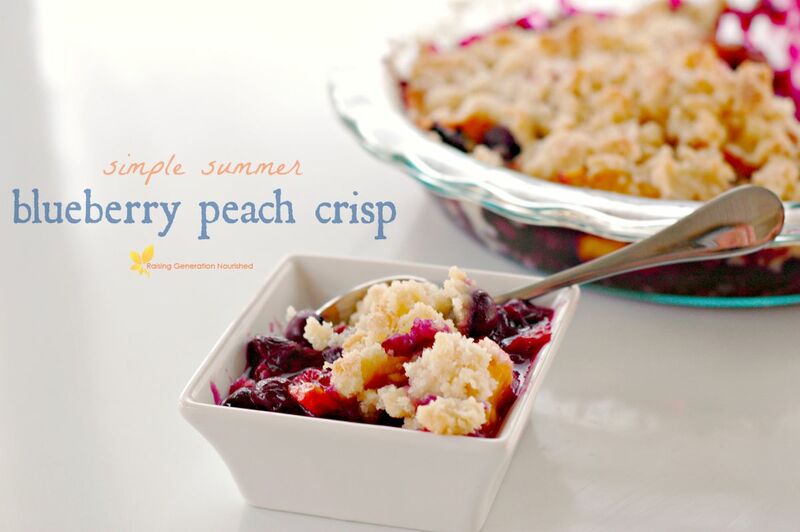 Blueberries and peaches really taste amazing together and this simple crisp is my kind of summer treat because it is simple and *quick*. 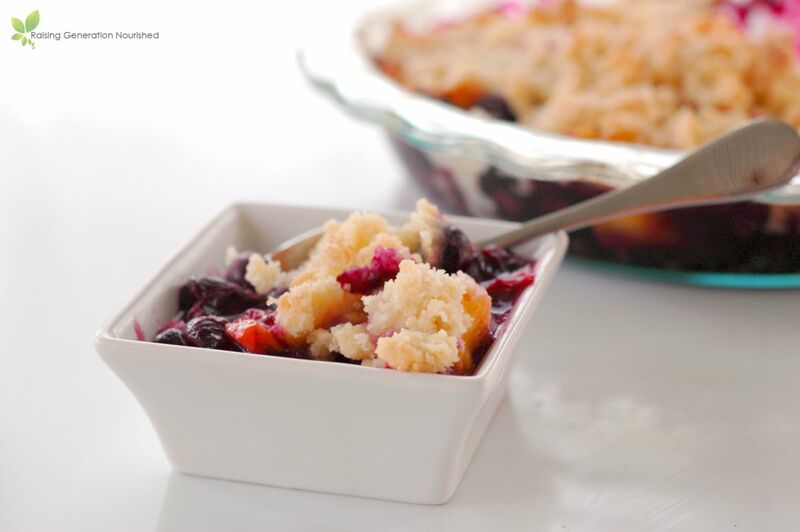 It is a great way to use up the last few peaches and last bowl of blueberries going too ripe! 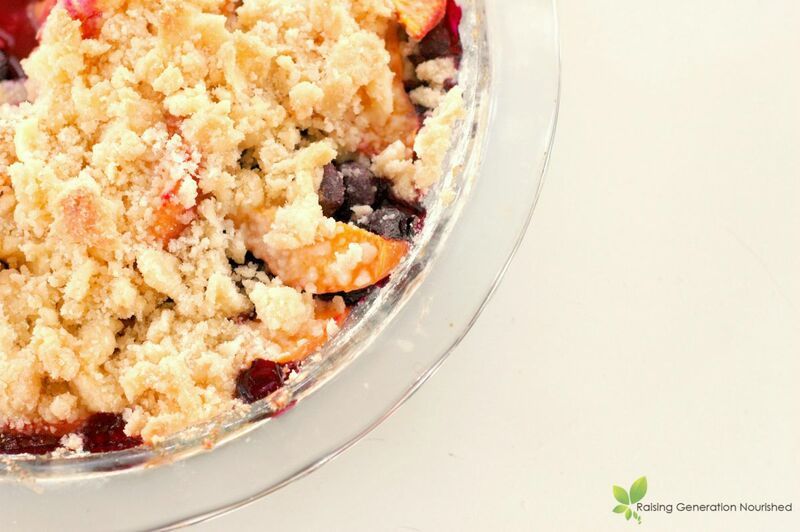 Toss together the blueberries, peach slices, lemon juice, vanilla extract, 1/4 cup sugar, and corn starch right in your 9 inch pie plate. In a small mixing bowl combine the white rice flour, butter, maple syrup, and 1/4 cup sugar using a spatula - don't combine until super smooth - the point is for it to be a bit crumbly. 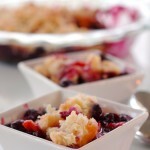 Sprinkle this crumble mixture over the top of the fruit mixture in the pie plate. Bake at 350 degrees for 35 minutes. Cool for a bit before serving. My kitchen has turned to summer meals, and I couldn’t be more excited! I love the change in seasons. 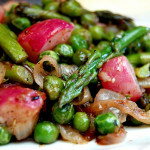 Summers are for quicker cooking meals so my hot oven isn’t running all day, cool salads, and the produce of the season! By September I’ll be ready to pull out my everyday soups, stews, and warming meals again, but while we are enjoying soaking up the sun for a few months, I really enjoy summer meals. 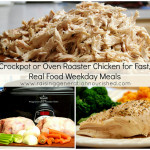 One of the reasons I love summer so much is because I get to refresh my freezer chicken stash. Every October as our farmer’s markets wind down for the winter, I fill up a whole shelf in my deep freezer with 25 or so whole chickens to get us through the winter. I love my chicken lady 🙂 She is the sweetest thing in the world, and treats her birds so amazing. The flavor of chicken on pasture is unmatched, and when we run out of whole chickens around April/May, I long for our market to open back up for the year! We headed up to the market this weekend, and I told my husband I was planning on chicken for dinner. The warm weather was begging me to keep my oven use to a minimum so I decided a summer spatchcock style chicken would be the best. 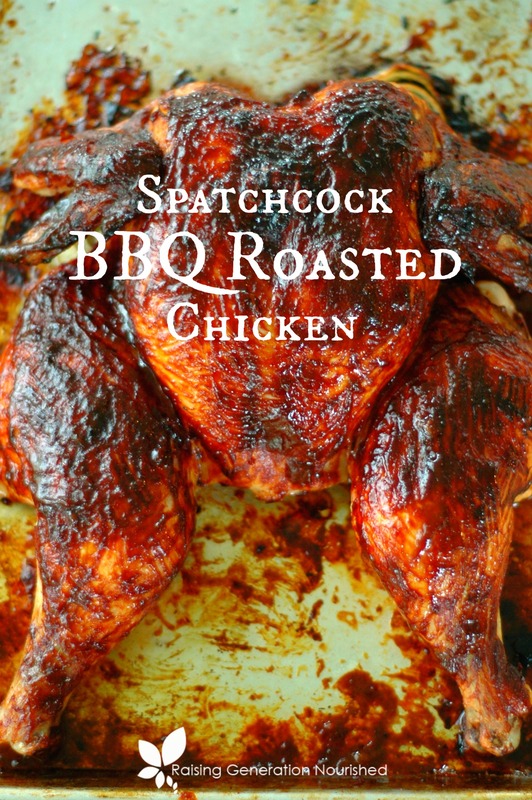 Spatchcock (or some people call this “butterfly”) chicken cuts the cook time way down to less than an hour, so it is perfect for summer. 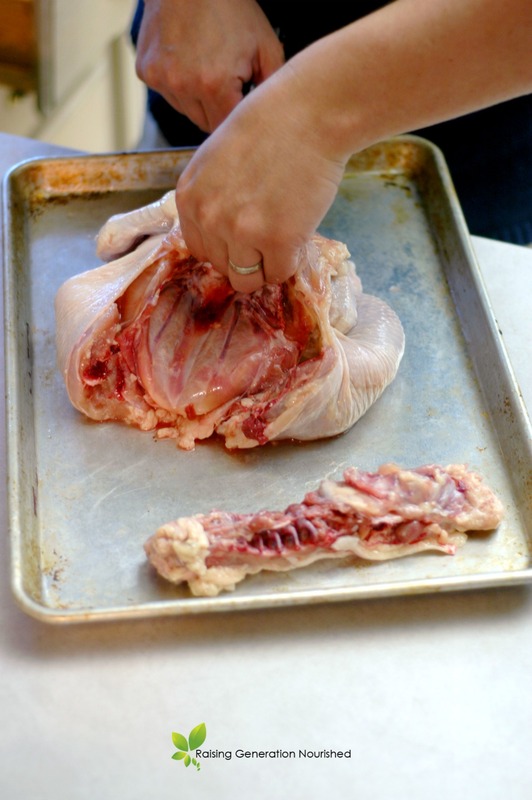 Just use kitchen shears down the backbone on both sides, and flatten the chicken down with the breast up. Other than my crockpot chicken method, this is the method I use until I can slow roast my chickens during the fall and winter. Since cooking chickens spatchcock style offers so much more yummy skin to enjoy, we did our bird up barbeque style this weekend. 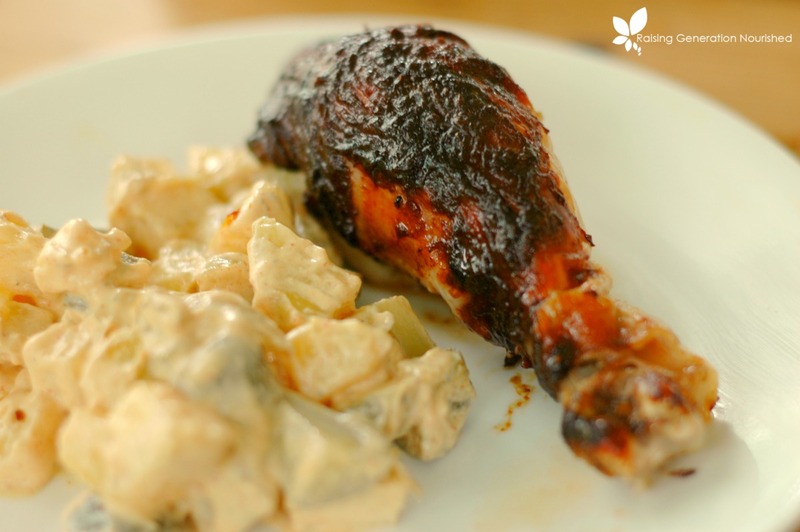 It is one of our favorite summer meals alongside summer potato salad, and it was a fun way to start our summer off. This method it super easy. Don’t be intimidated with halving the chicken. Just follow the backbone – it is very simple and quite forgiving. 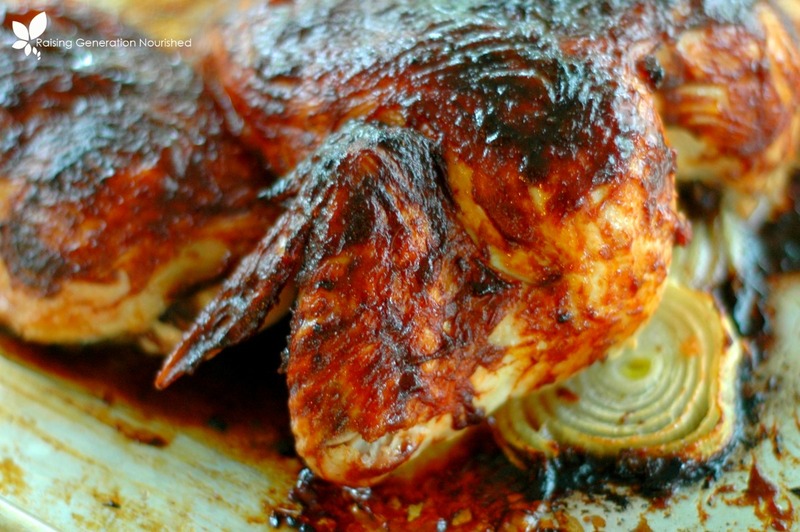 I remember the first time I did a chicken this way just falling in love with how quick our chicken night could be cooked in – especially one these beautiful summer days when we are out at the beach all day! 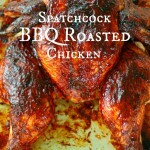 Once you learn how to spatchcock a chicken you won't cook it any other way. It's quick and so delicious. Butter the bottom of a large baking sheet or jelly roll pan, lay slices of onion on top, and garlic on top of the onions. 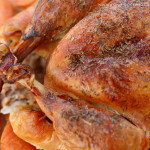 Put the butterflied chicken on top of the onion rounds, and butter the surface of the chicken. Cook at 425 degrees for 40 minutes, take it out and brush the surface of the chicken with BBQ sauce. 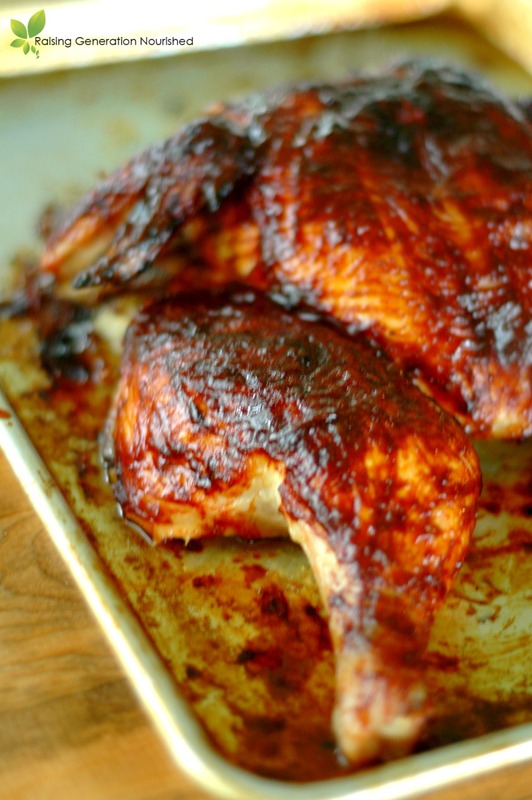 Place the chicken back in the oven and cook another 5-10 minutes, take it back out and brush it with more BBQ sauce. 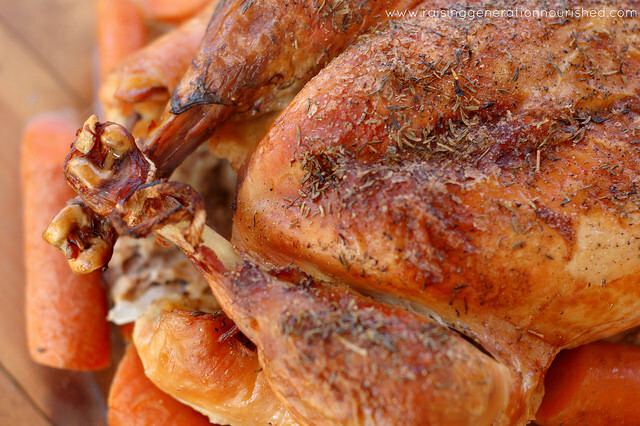 Cook another 5 minutes until the chicken is fully cooked and juices run clear. 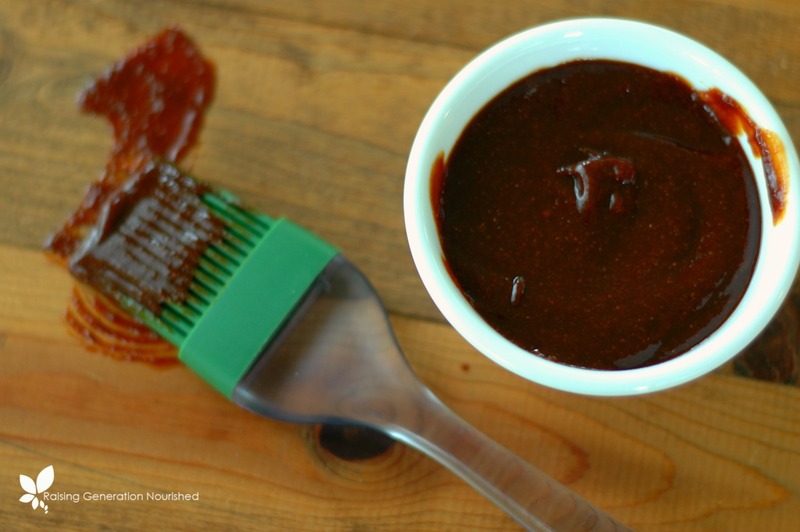 You can use more BBQ sauce for dipping if you wish! 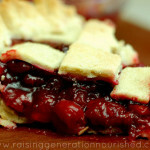 For more real food dinner ideas, follow my Dinner Ideas board on Pintrest! We kicked off summer this past weekend! It is *finally* starting to feel like a little bit of summer (heck, I’ll even take a little bit of spring at this point! 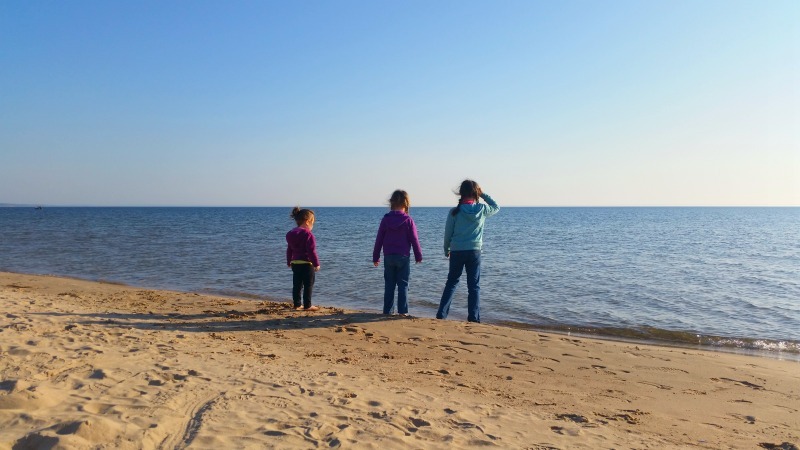 ), and we spent the weekend playing at the beach, swinging, going to Memorial Day parades, and, of course, enjoying some good food! As I was mixing up my potato salad it dawned on me I ought to put together some of the summer’s best picnic dishes up on the blog in the next month! 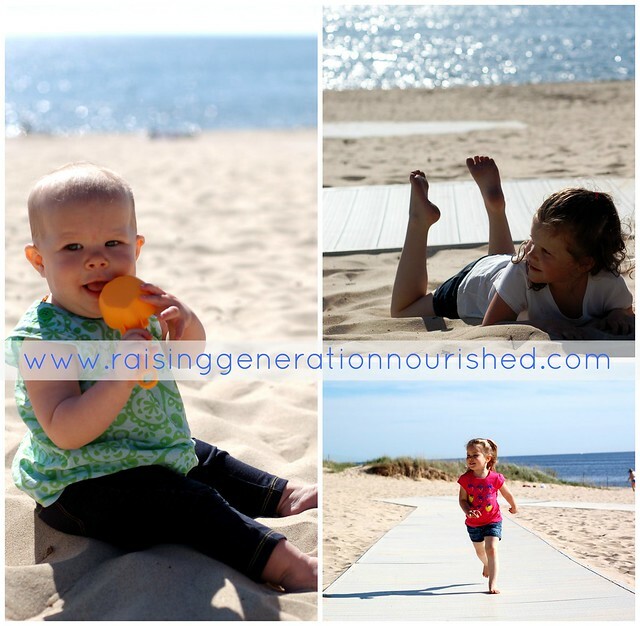 Keep your eyes peeled for the Real Food Summer Picnic Series in the coming weeks! 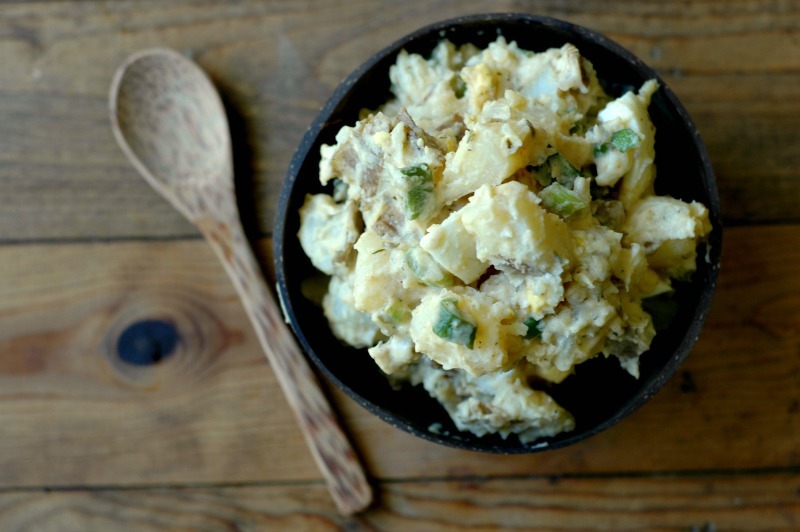 I’m starting off today with potato salad – and you have *never* had potato salad so good! I can’t tell you how much I had to play around with potato salad to get it the way I liked it. The way I remember it as a kid. 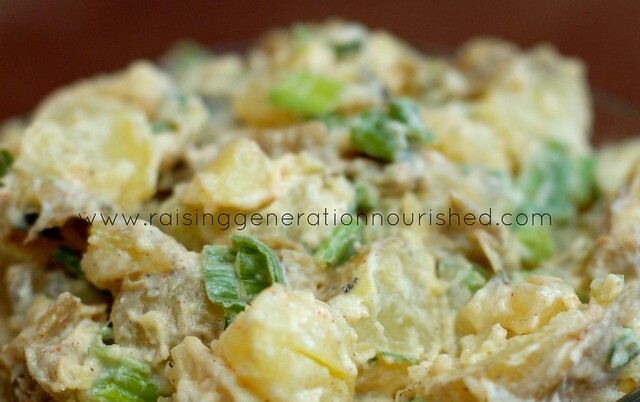 This potato salad tastes every bit as good and you can feel good about every single ingredient! By the way! 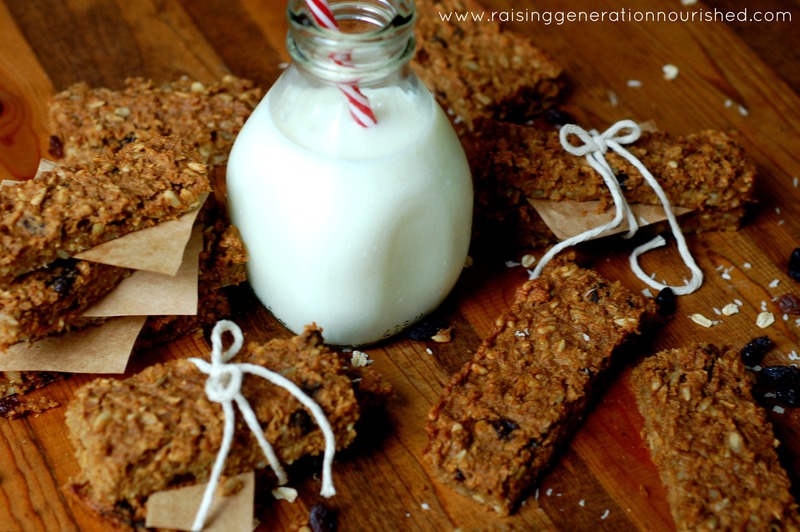 The recipe feeds a small family gathering – if you are feeding a crowd double up! If you are feeding just your family half it. 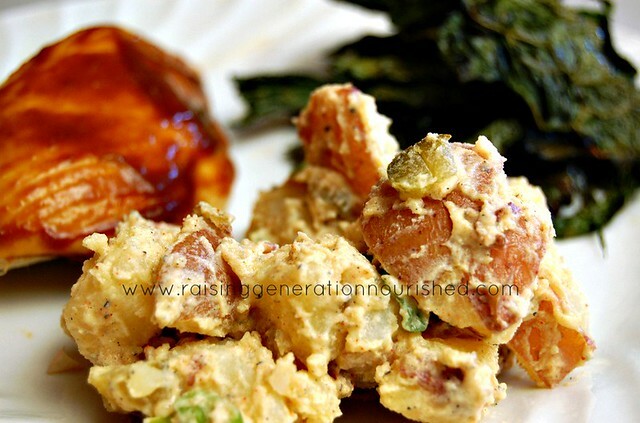 Potato salad is a classic picnic food. Make sure you skip the deli counter and make your own. 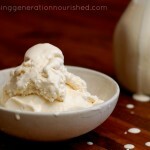 1/2 cup whole sour cream If you are dairy free, use coconut milk yogurt. 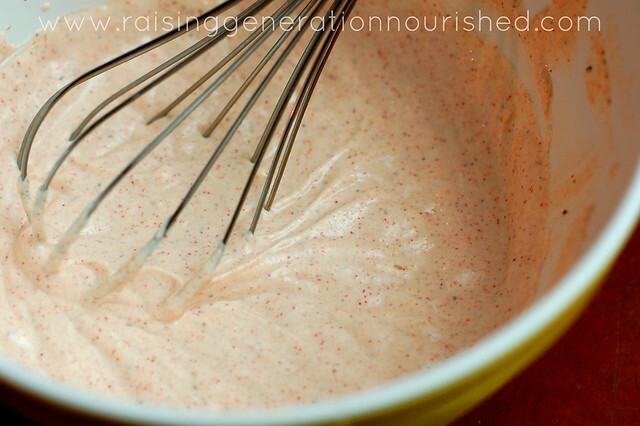 If you make your own homemade mayo that works too! 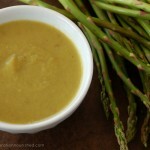 2 TB organic Dijon mustard Watch those ingredients! 1 1/2 TB raw honey Could do sucanat or pure cane sugar. Could add more if you want it sweeter. Put the whole potatoes in a large pot along with water to cover potatoes and 2 TB sea salt and bring to a boil. Reduce to a simmer for 10 minutes (until they are just barely fork tender), and drain. Cover the potatoes in the colander with a kitchen towel in the sink and let them “steam” for about 15 minutes. 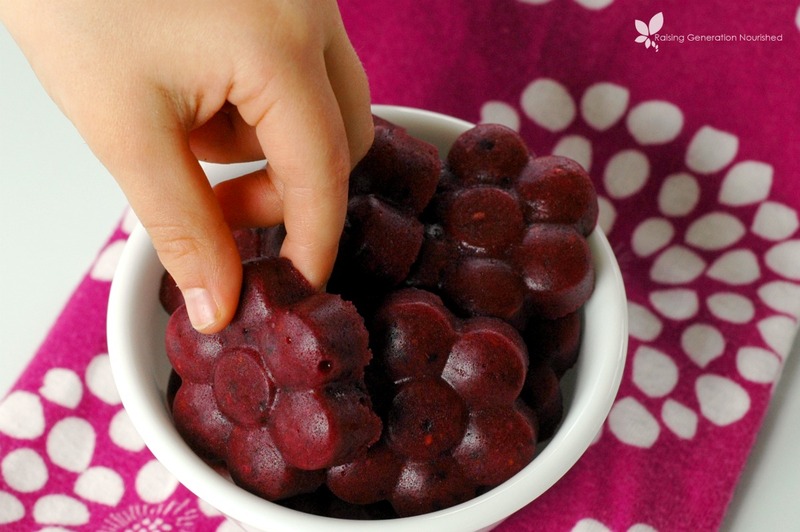 Dump the potatoes out on your cutting board to cool a few minutes before cutting while you fix the dressing. Whisk the sour cream, mustard, oil, lemon, honey, and seasonings in a small bowl. Once the potatoes have cooled enough to handle, chop them into pieces to your liking – halved, quartered, or smaller and put them into your serving bowl. Pour the dressing over the potatoes and combine. It will seem runny but it thickens up in the fridge as the potatos absorb the moisture. Fold in the pickles and green onions. 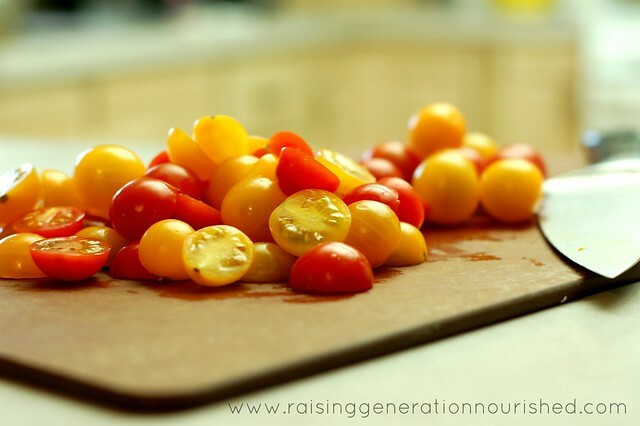 Let the salad refrigerate for the flavors to come together for a few hours before serving. Leftovers are delicious! 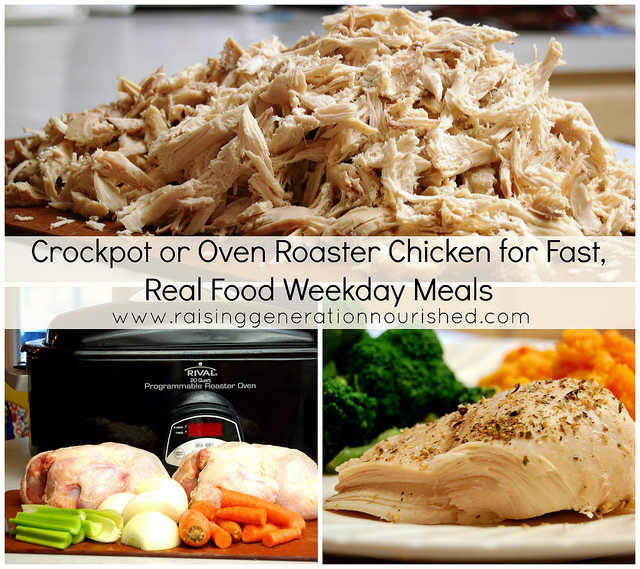 Make up a batch over the weekend and save any leftovers for hot weekday dinners so you don’t have to cook! Add some chopped hard boiled eggs to the salad if you tolerate eggs! 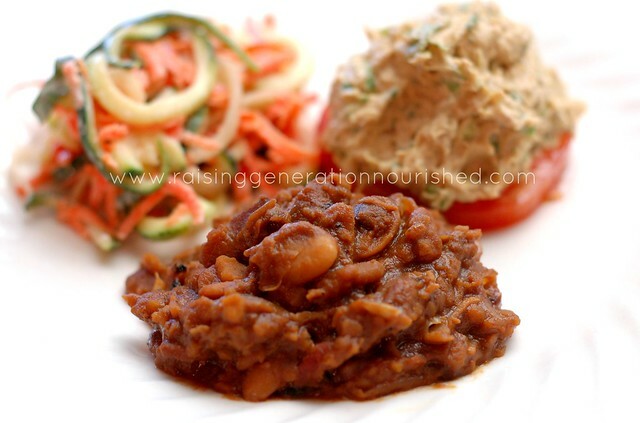 Play around with the seasonings and veggie add-ins to your liking! 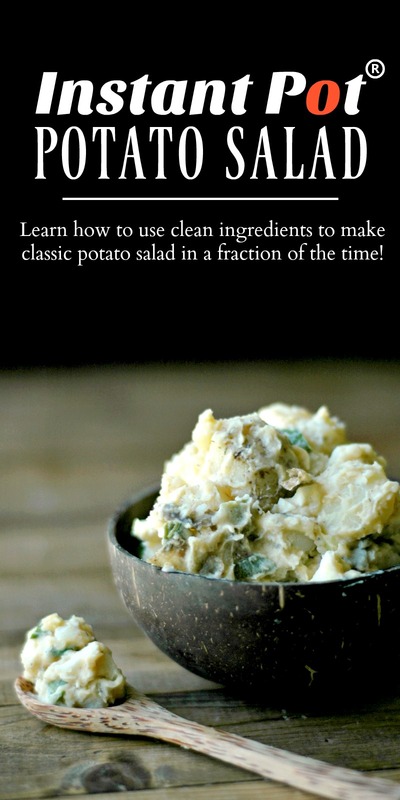 A lot of potato salads have celery – I don’t care for it but add it in if you wish! Some don’t use the cayenne but we love the heat so we use it! 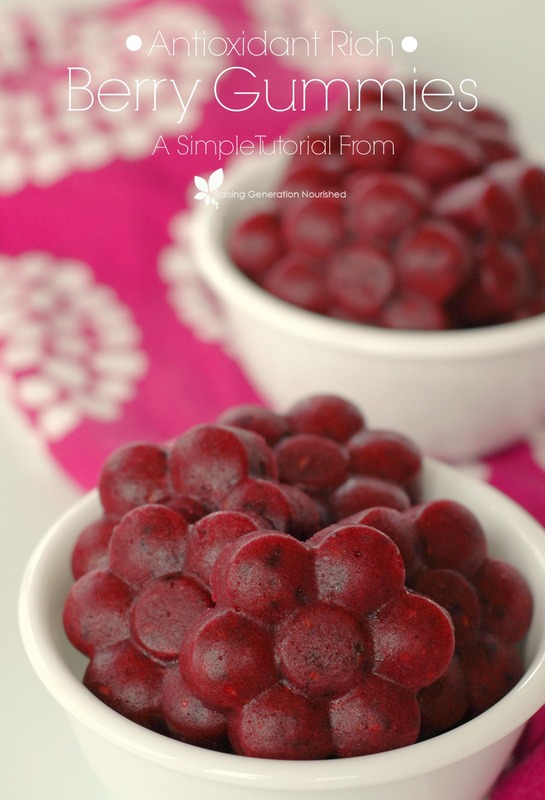 I have added tomatoes and love that add-in too! So TELL ME! What are your favorite picnic foods??? I’ve got some ideas for what I plan to post but am willing to change things around to what you need to see! Ever have one of those weeks where you just don’t feel like being in the kitchen? Or just don’t have time to be fiddling around in the kitchen? Last week was one of those weeks for me. And friends, when that happens sometimes I forget just how crummy I feel when I don’t eat well – or enough. On busy days (or beautiful 80 degree days when I just want to be outside!) I tend to under-eat, or just eat the “quick” stuff like a few bites of cold leftovers, a quick granola bar from the freezer, or a banana from the fruit bowl. But I function much better when I eat better than that. 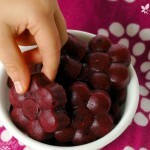 Those are all good things in and of themselves – but our bodies need veggies! Minerals! Our bodies need protein and fat to balance out too! During these busy, warm spring and summer months I like making jars of 5 minute salad dressing so quick bowls of salad are easy and do-able. Or a big bowl of coleslaw to keep in the fridge. I can scoop out what I want when I’m rushed and still get some nutrient rich vegetables in my afternoon. It is important to rotate veggies as much as it is important to rotate any other food we eat, so I have a few quick, fresh salads to change things up during the week! 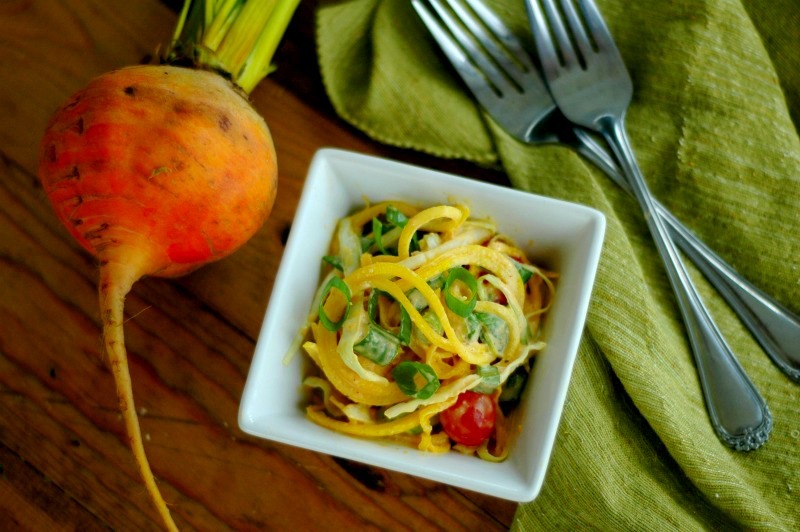 I shared this spring coleslaw a couple weeks ago, and this Italian daikon salad is another favorite of mine. 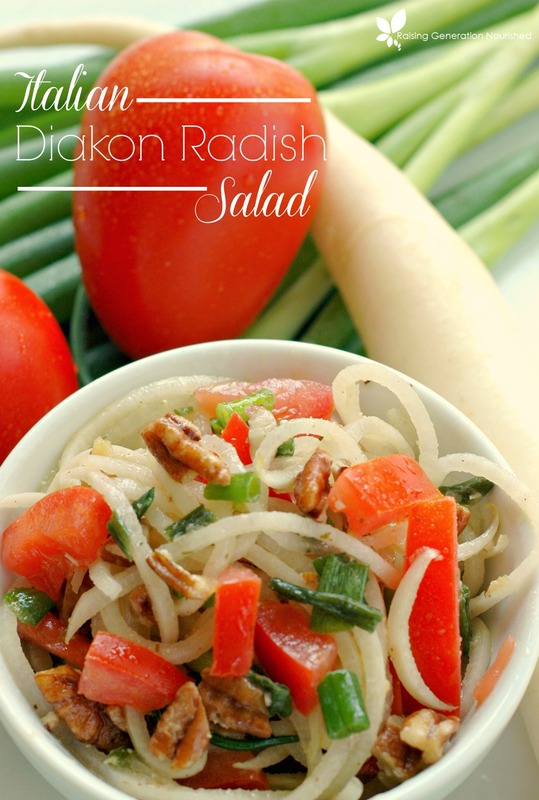 Daikons spirilize so easily, and give a crisp texture with a noodle-like feel to the salad. I like to add chopped pecans for crunch, and if this ends up being all I have time for at lunchtime I add grated Parmesan and/or chopped local pepperoni. So full of flavor! 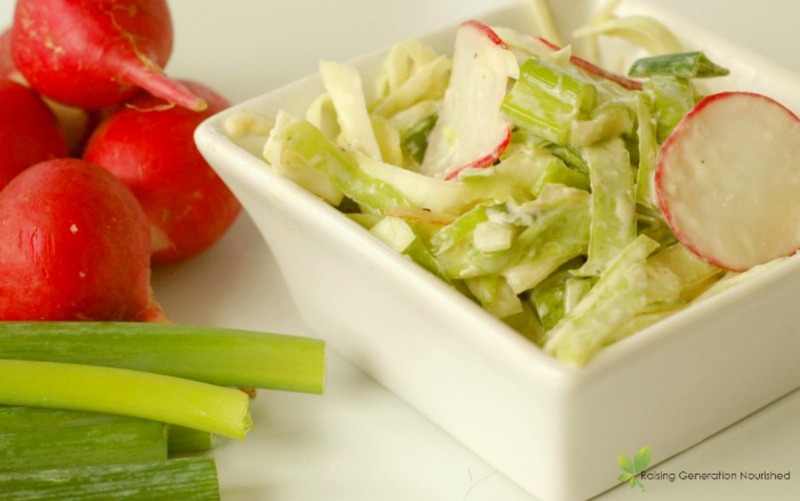 Cold salads like coleslaw and this daikon salad can also be piled up into a rice wrap. And don’t forget the kids! 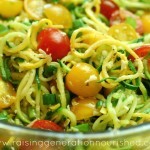 I think spirilizing just about any veggie makes them more appealing to kids since it make them feel like noodles. 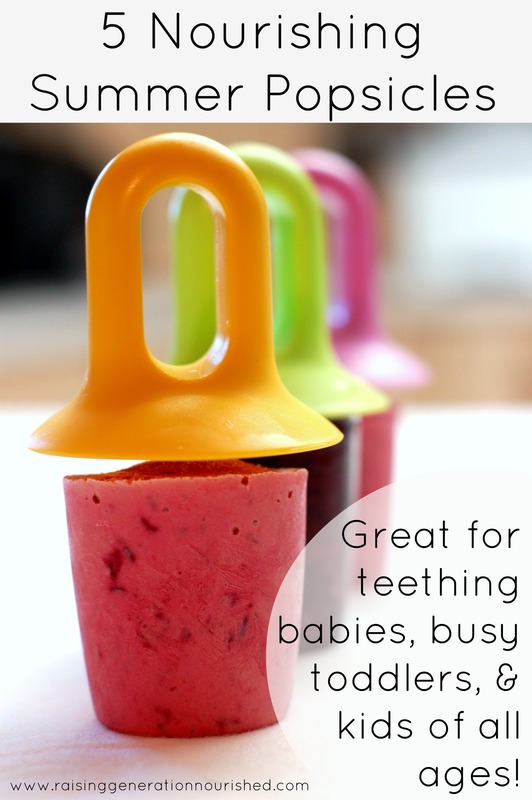 It also makes them easier to chew and manage. I just love my spirilizer , and use it multiple times per week. 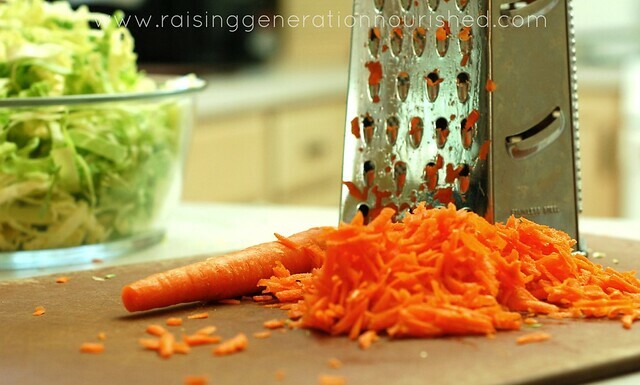 I also like using my julienne peeler for smaller veggies like carrots for making veggie “noodles”. It is important to rotate veggies as much as it is important to rotate any other food we eat, so I have a few quick, fresh salads to change things up during the week! 1/3 - 1/2 cup chopped crispy nuts I like pecans in this the best! Optional sprinkle of grated parm and/or chopped pepperoni if you want to make it a meal! Everything into a medium mixing bowl, toss together, and chill for at least half hour. 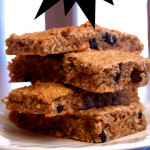 This can be made ahead of time and sit in the fridge up to a few days. 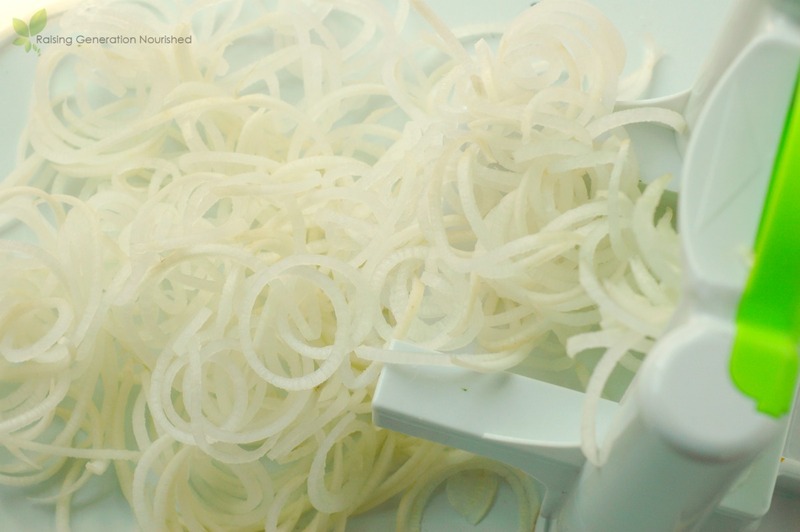 One side note on the diakon radish “noodles” – since the radish is so long, the noodles are quite long so I like to cut them a bit after I spirilize them to make them easier to manage while eating. 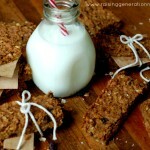 For more quick lunch ideas, check out my Lunch Ideas board on Pintrest! I don’t know about you, but right around April I start getting antsy for summer food. We have a really (really!) long winter, and while our spring is absolutely gorgeous, it tends to really take its time getting here. 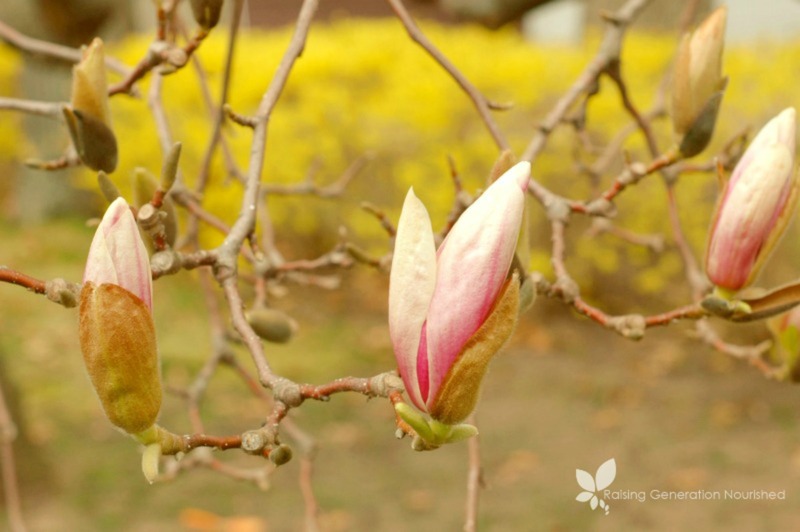 We toy around with warm days that make my forsythia and magnolia buds tease us with slightly opening…and days where we have to pull the winter coats back out and brush the dusting of snow of the tulip leaves. 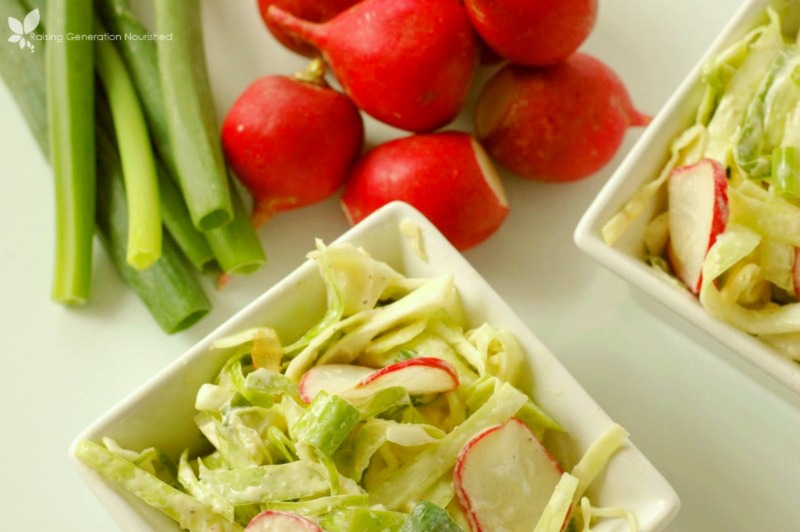 I have a special place in my heart for the veggies of spring, and after a long winter of greens and squashes, I load up on gorgeous spring produce to use them in any way I can – including taking the traditional summer picnic food of coleslaw and dressing it up spring style! 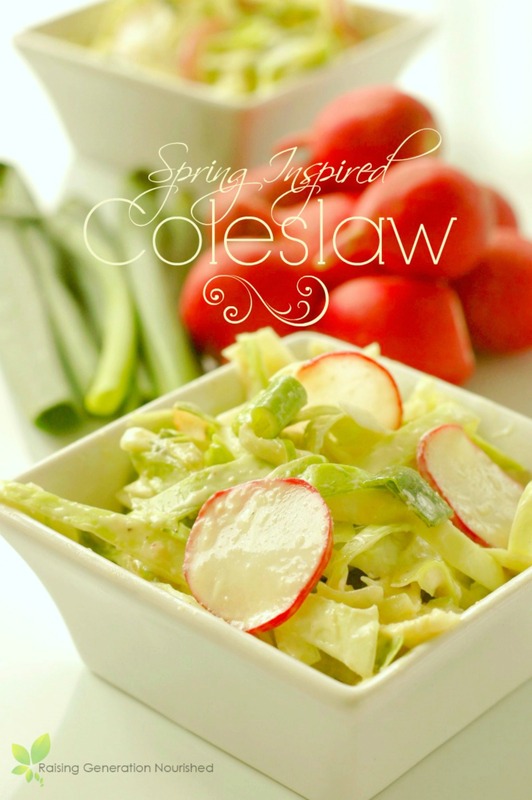 Packed with fresh flavor, and vibrant spring color this coleslaw is fantastic on its own for lunch, or as a side for dinner. Grill up some chicken on that first warm spring day you get and use the coleslaw as a side. 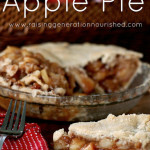 It also gives an amazing crunch and flavor piled up on a grassfed burger! 2 TB chopped garlic scapes If you can find them – the season is late spring. 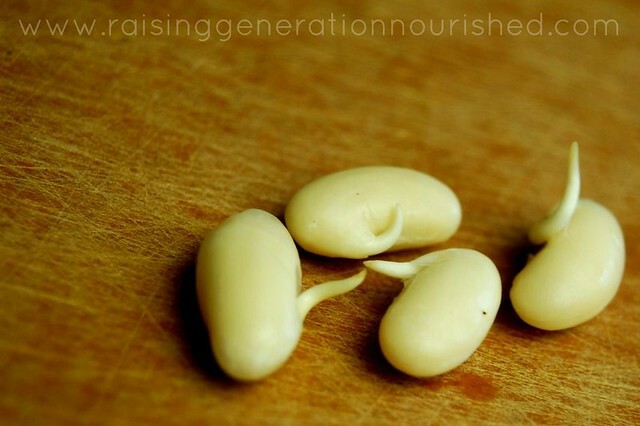 If you don’t grow garlic you can look for them at the farmer’s markets! The coleslaw is fine without them if you don’t have access. ½ cup mayo Homemade mayo preferable to avoid rancid oils. 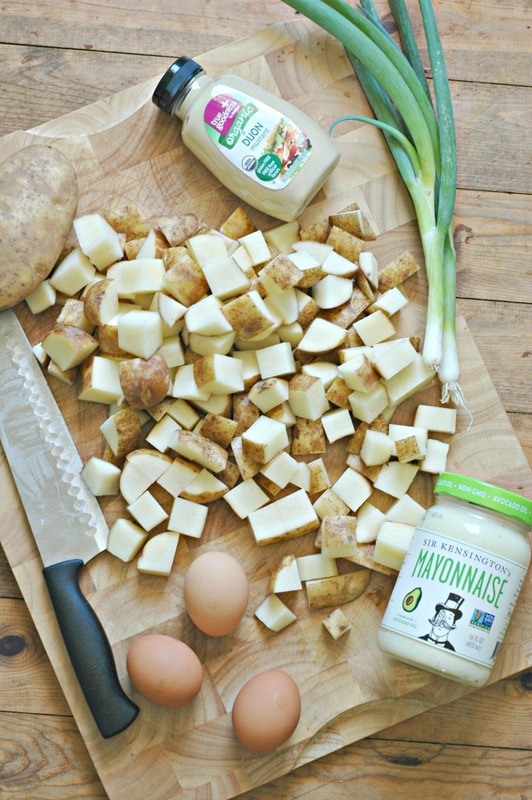 My simple egg free mayo blends up in just minutes right in the jar! Everything into a medium mixing bowl and stir to combine. 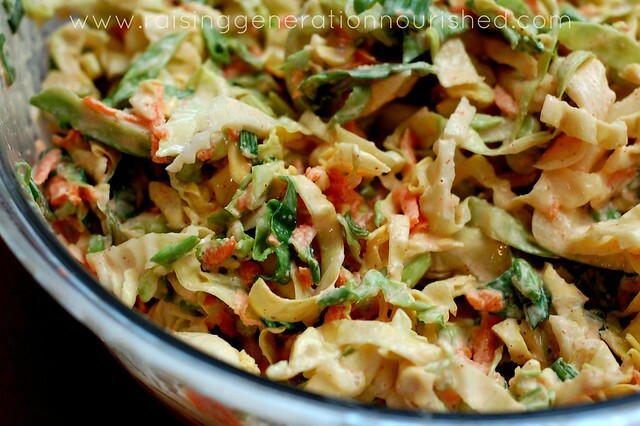 Let the coleslaw sit in the fridge for at least a half hour before serving. 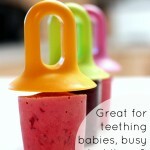 For more fresh lunch ideas visit my Lunch Ideas board on Pintrest! 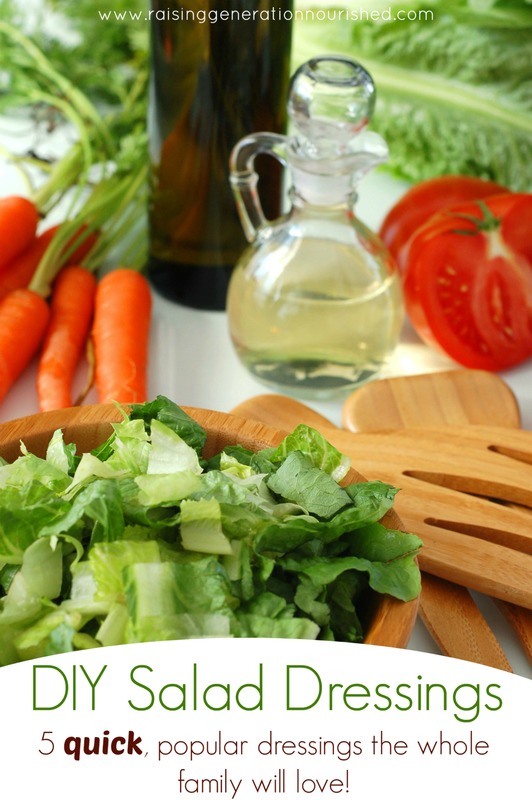 5 Popular Salad Dressings Done Quick! I thought I would get one more summer picnic staple in before we hit August! 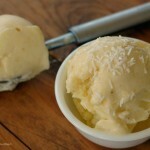 We still have a lot of summer to enjoy – and summer food! I just adore pasta salad because you can do so much with it. 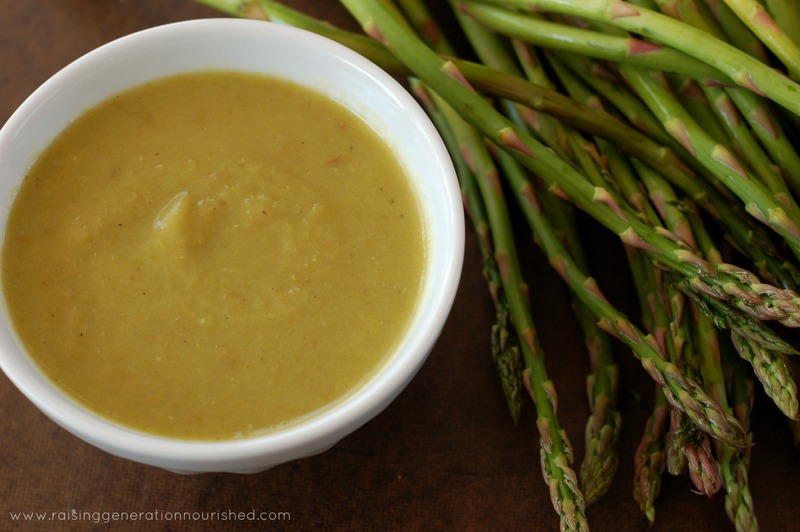 A simple beautiful dressing and you can add whatever veggies are in season around you. Right about this time of year gardens explode with summer squash and zucchini and, honestly, I just never tire of it! I don’t get to use it much the rest of the year when my garden is empty and the grocery store jacks up the price. 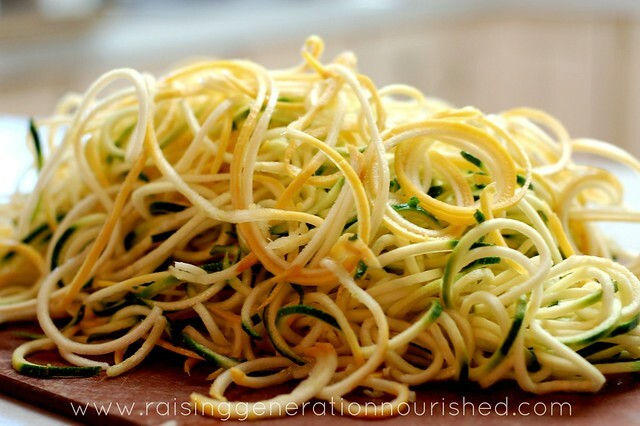 For years I used a little julienne peeler to make “zoodles” when I wanted a grain free pasta and I loved that little peeler! This year, I sprung for a spirilizer and, OH! You must promise me you will put this on your wish list! It is so wonderful! Hit up your farmer’s markets (or take a walk through your garden!) 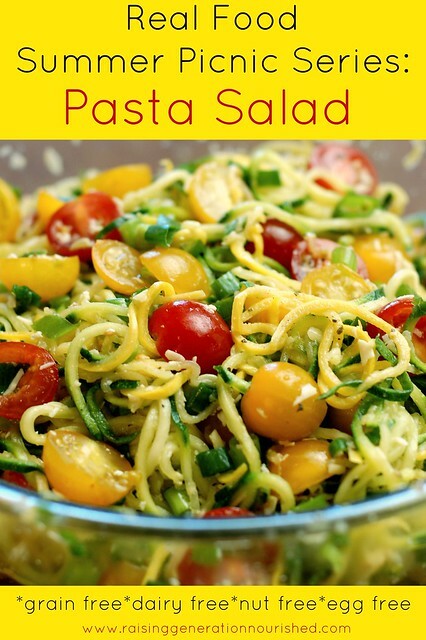 this weekend and find some simple, colorful combos to make up some pasta salad for your weekend picnic! 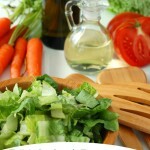 1 TB Italian dressing season See Tips section for this mix – so quick! 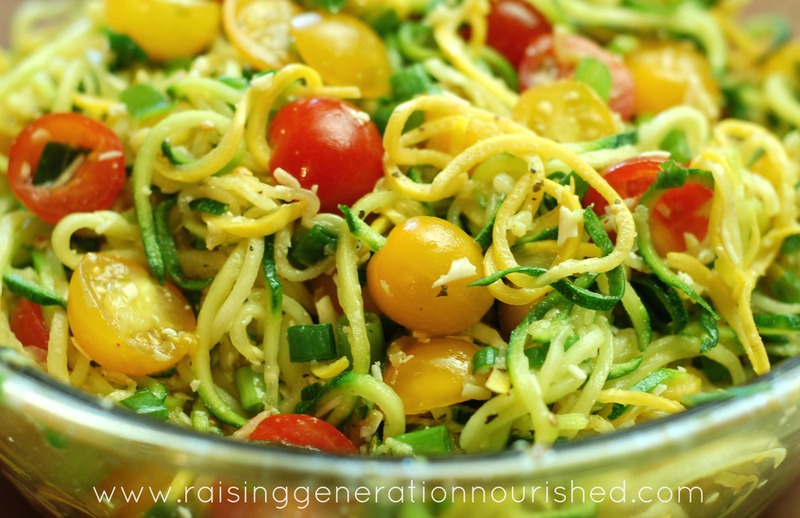 Sprinkle some sea salt all over the spirilized summer squash and zucchini, combine, and then put them in a large strainer for about 10 minutes. 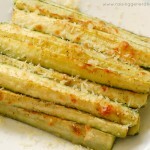 The salt draws out all the liquid in the squashes and makes the texture “noodle” like! You can help the process along by gently pressing to squeeze out the liquid, and/or dab with a towel. 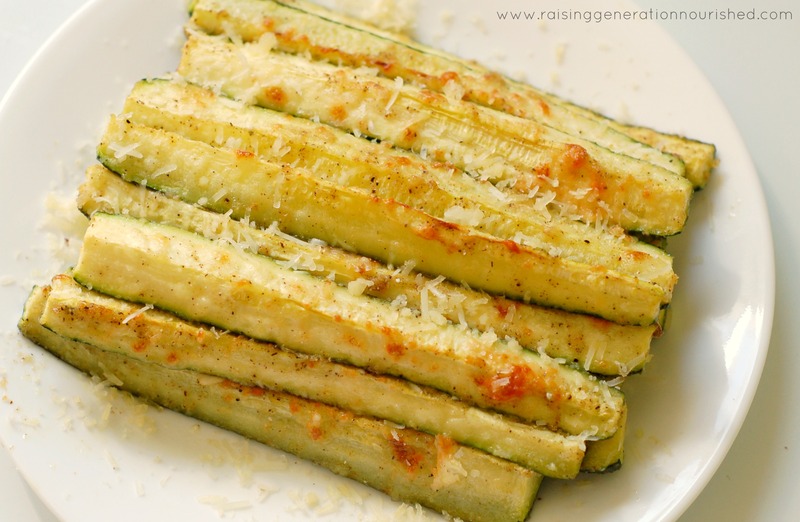 While the squashes are draining, whisk up the olive oil, vinegar, and Italian dressing seasoning, and get the green onions chopped and parm grated. 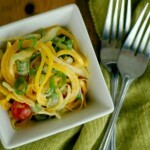 Put the drained squash “noodles in a large serving bowl, and add in the green onion, parm, and the whisked up dressing. Combine and serve! HERE is the Italian Dressing season mix – this is not Italian seasoning – this mix is what I use to make Italian dressing and it is just delicious! You will love it! This amount makes up enough for my family to eat at 2-3 meals. Double up if you are bringing it for a crowd. Be sure to check out the spirilizer ! 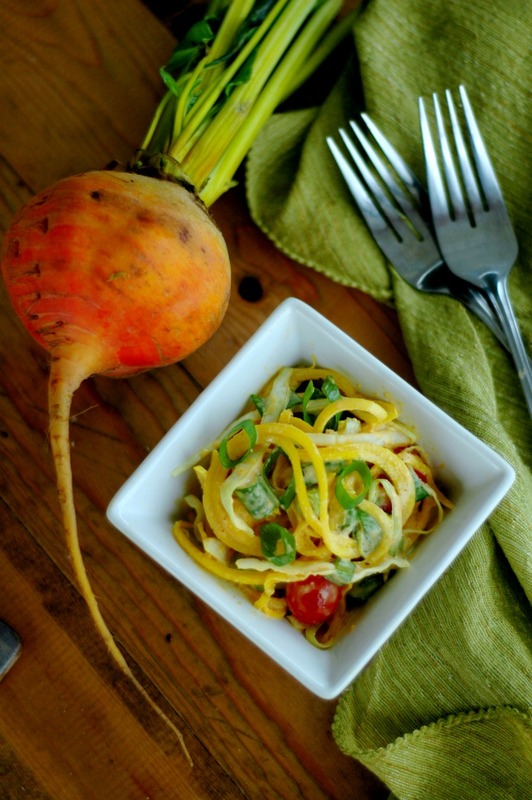 You can make noodles out of sweet potatoes, carrots, etc in addition to the zucchini! 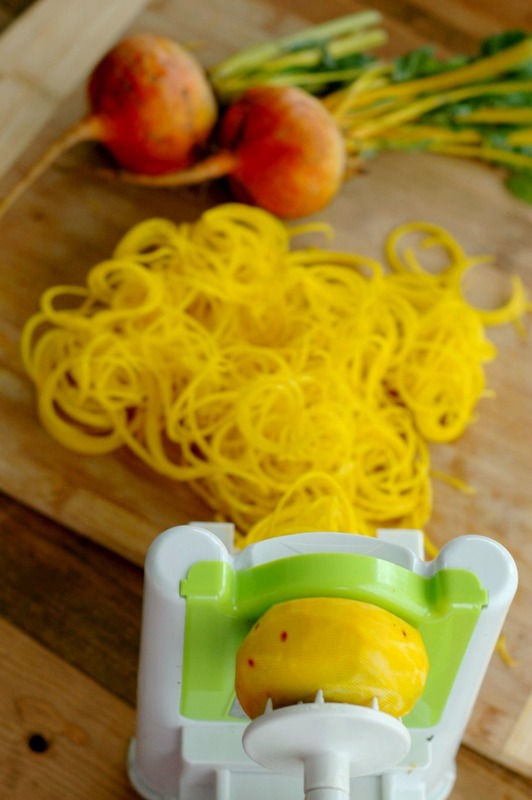 If you want to start out smaller the julienne peeler works fantastic too and I used it for years. 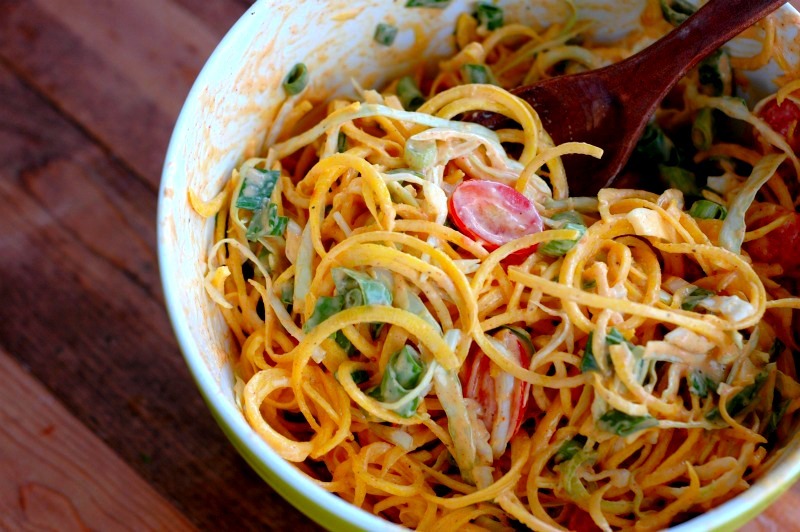 The veggie noodles are a great size for little hands and little mouths to handle. You can certainly use regular pasta instead of, or in addition to, the “zoodles” if you wish! Make this one up ahead of time! 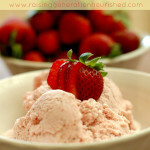 Flavors will only get better as they sit in the fridge! Looking for more summer picnic staples done in a real food way? I’ve got you covered! 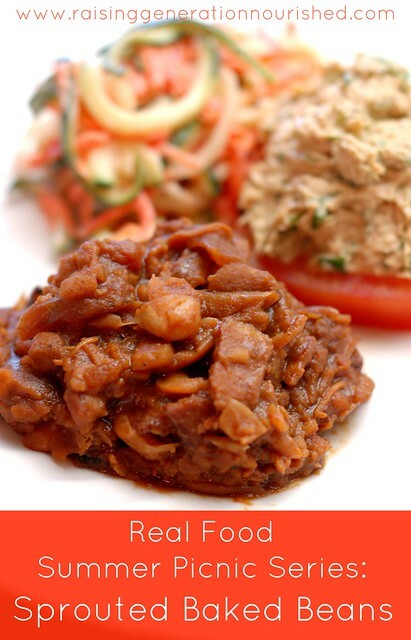 This summer make up some potato salad, baked beans, BBQ sauce, chicken salad, and coleslaw too! 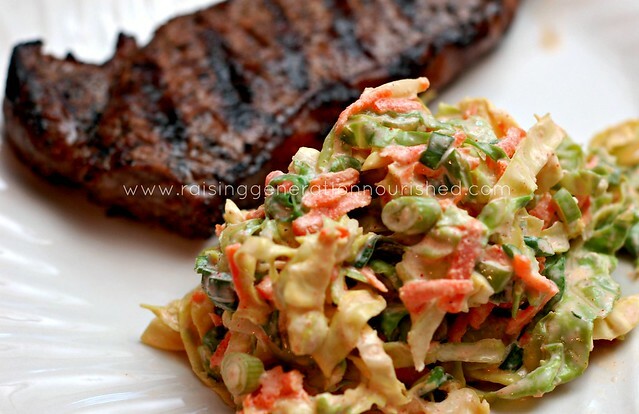 I think coleslaw is one of my favorite summer foods. That is such a bold statement because summer brings so much great food! But this coleslaw has been a labor of love to get just right – and I’m so excited to share it with you. 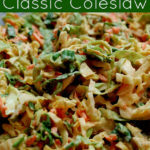 Even if you aren’t usually one to go for the coleslaw at a picnic, you are going to be blown away at the flavor in this one. The dressing itself can stand on its own and is one of my secrets to the coleslaw. 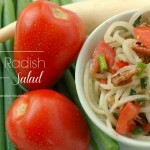 It is one of my husband’s favorite dressings even on a regular salad! 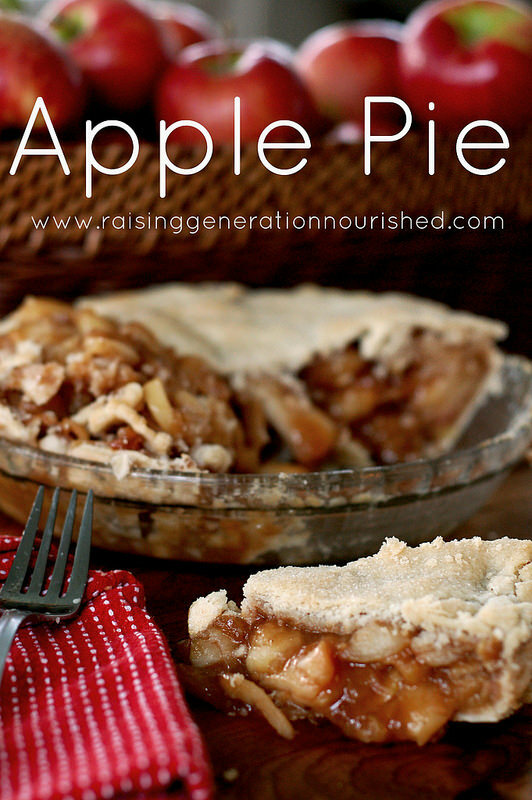 This recipe makes enough for a small family gathering. If you are prepping for say, a large family reunion, just double up. 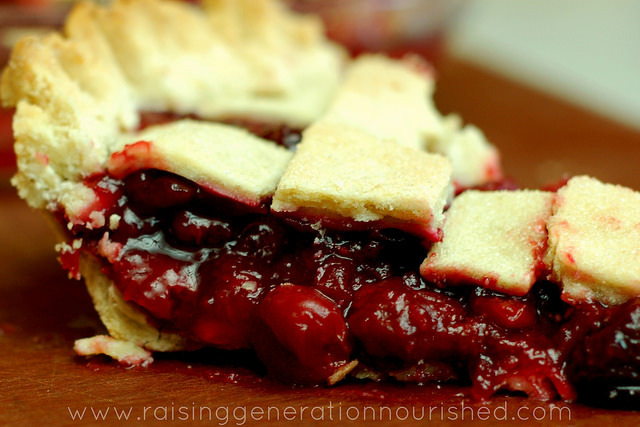 This is a great dish to make up ahead of time for your gathering since it keeps well in the fridge, and the flavor only gets better over time! 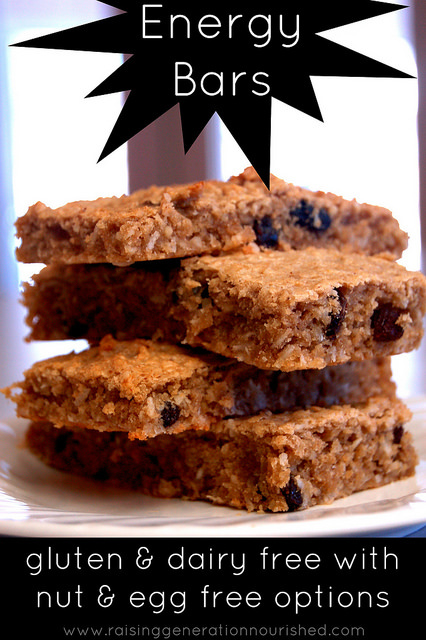 And even if you are making it for just your family dinner this week, make up the full batch! The flavors only get better over time as they sit in the fridge and you can use it all week as a lunch or dinner add on. I have even been known, *ahem* to make a large bowl of it my entire lunch! Such simple ingredients. 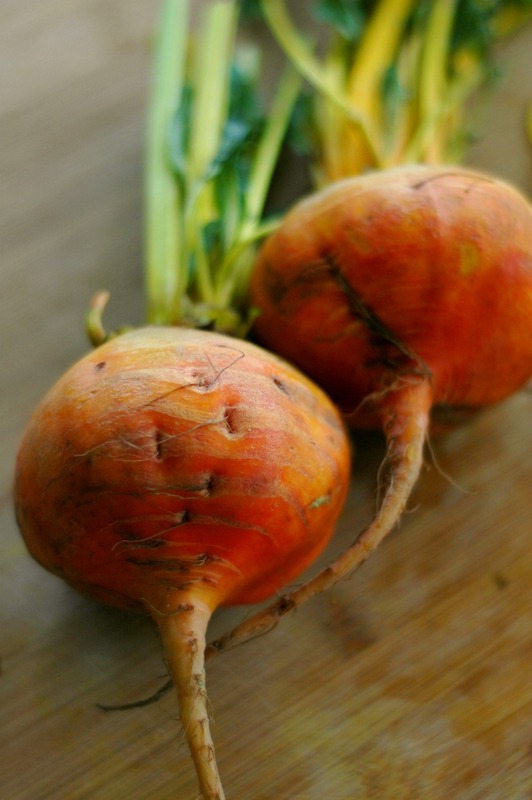 Visit your farmer’s market this week and pick up some of these frugal veggies and you can make your own! 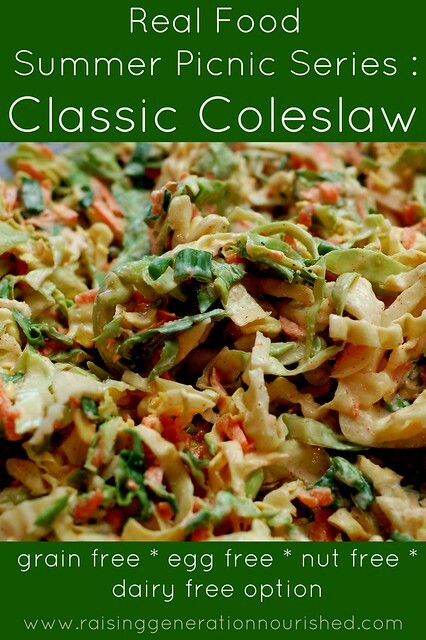 A picnic or summer celebration isn't the same without coleslaw. 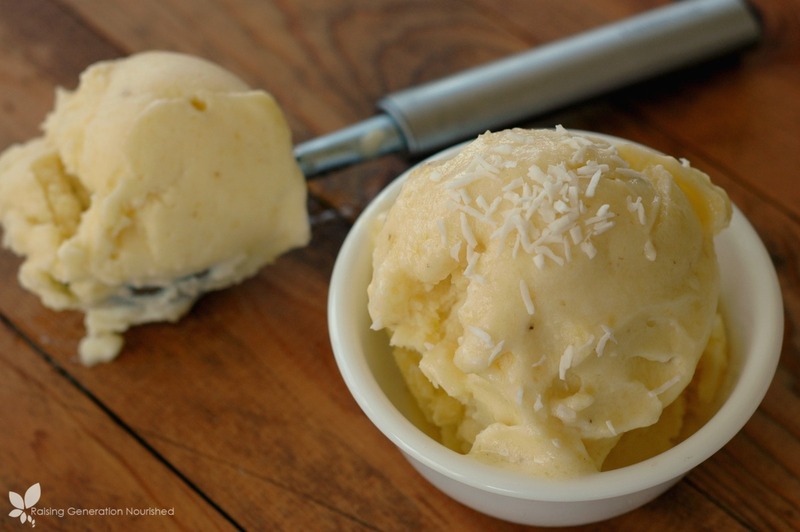 Learn how to use real food ingredients to elevate this classic to the next level. 1-2 TB raw honey local if possible! 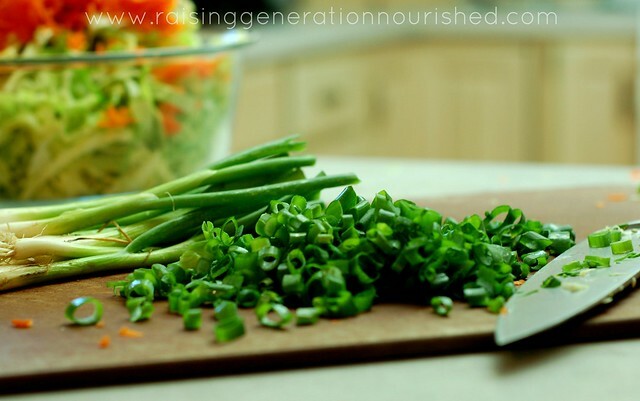 Put the cabbage, carrots, and green onions in a large mixing bowl. Whisk the rest of the ingredients in a small bowl. Pour the dressing over the veggies and combine. 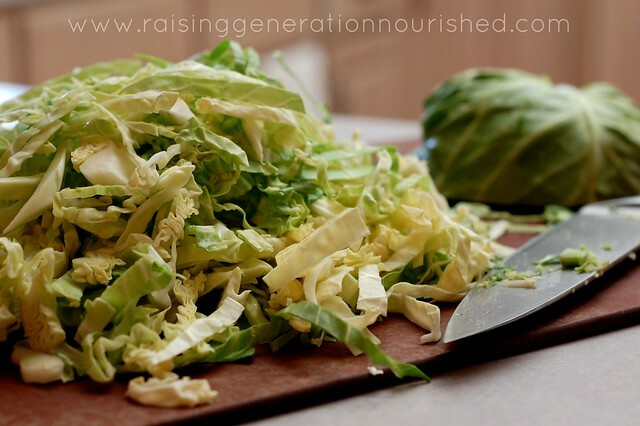 Refrigerate the coleslaw for a couple hours before serving. 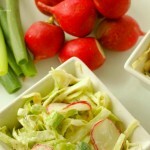 Keep me posted if you try my favorite summer coleslaw! 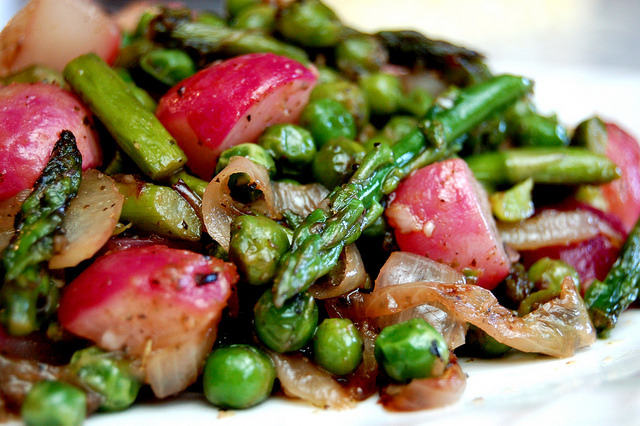 What is your favorite summer dish?